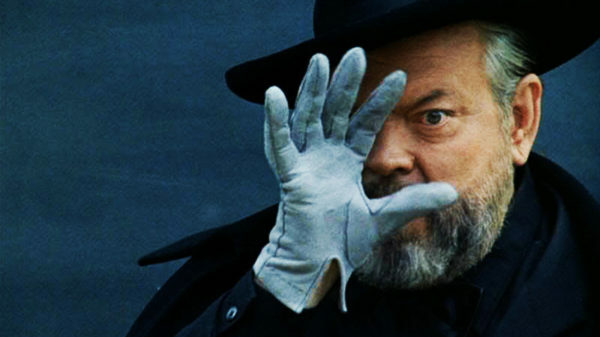 On the occasion of the release of Mark Cousins’s new documentary, The Eyes of Orson Welles (August 17th), from which this season takes its name, the IFI takes the opportunity to place the films of Orson Welles in a broader context. While it is undeniable that Welles’s approach to cinema was as startlingly innovative as his work in theatre and radio had been, the notion that he stood a fully formed filmmaker on his first day on the set of Citizen Kane, regardless of his lack of experience or interest in film history, is misleading. During his time at the Mercury Theatre and even while still in prep school, Welles had been involved in the making of a number of shorts. The groundwork for the extraordinary cinematography of Kane had been laid by Gregg Toland when working on John Ford’s The Long Voyage Home in 1940. Indeed, such was Toland’s contribution to that film that Ford shared his onscreen credit with him, as Welles would. Despite his later belief that “it’s very harmful to see movies for movie makers”, here are presented three films that show elements of the DNA of Welles’ cinema, from fellow titans Eisenstein, Chaplin, and the director of whom Welles said, “I prefer the old masters, by which I mean John Ford, John Ford, and John Ford”. Placed alongside these are perhaps Welles’ three most popular films and, following the thread, three films that can be seen to have been influenced in turn by Welles’s work.